Hooray! 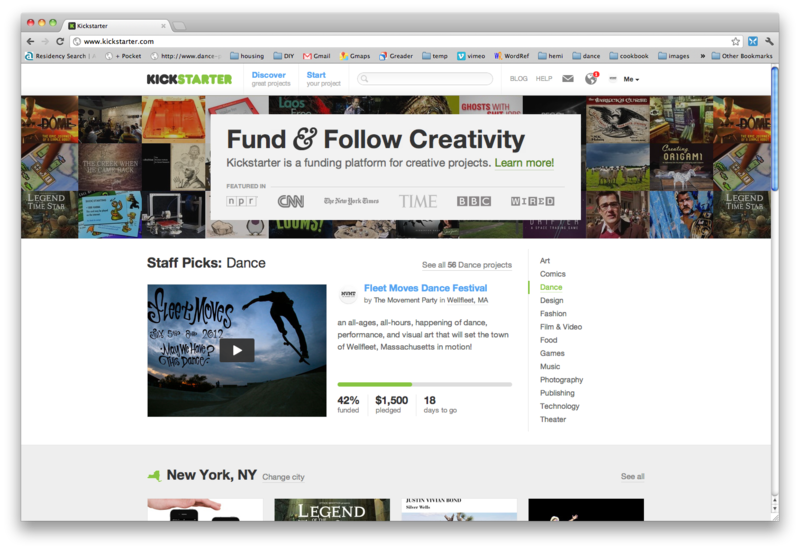 We made it to the “Staff Picks” list on Kickstarter and were also officially endorsed by the Dance Films Association and Fractured Atlas. Check Fleet Moves and other awesome projects here.